A stone walkway meandering through a beautiful landscape evokes the English countryside. 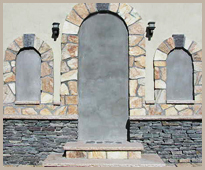 Simple to install, beautiful to behold, and practically indestructible, a lovely stone walkway will enhance any property. 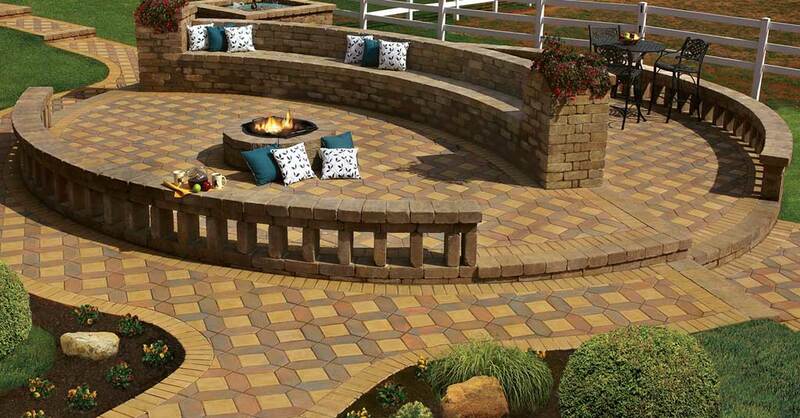 A Stone Walkway will add New Dimensions to your Landscape. Stone walkways can provide a visual division of your property and at the same time allow people to walk safely through your yard, especially when the ground is moist. Whether it’s a garden stone path or a designed brick walkway you can create a feeling of welcome for your visitors by visually urging them to walk further into your yard with a stone walkway. 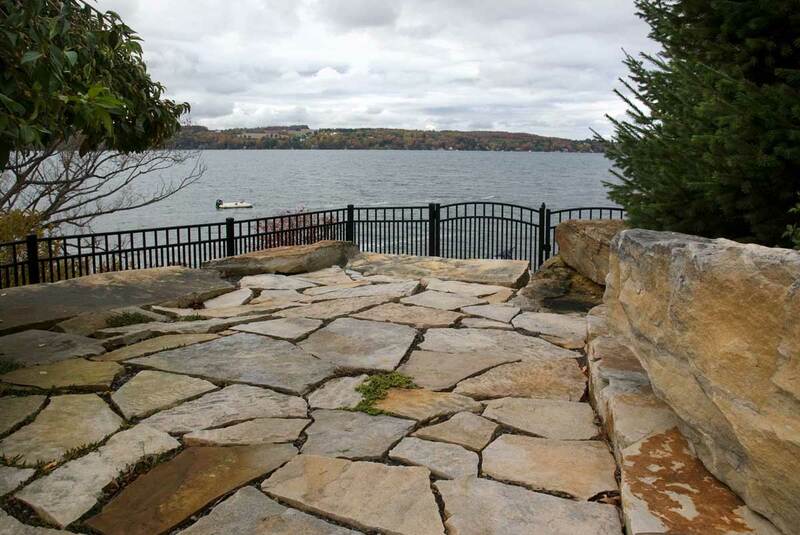 Landscape designers often use a stone walkway to separate one outdoor “room” from another. A beautiful walkway helps create a pleasing transition between different sections of your property. 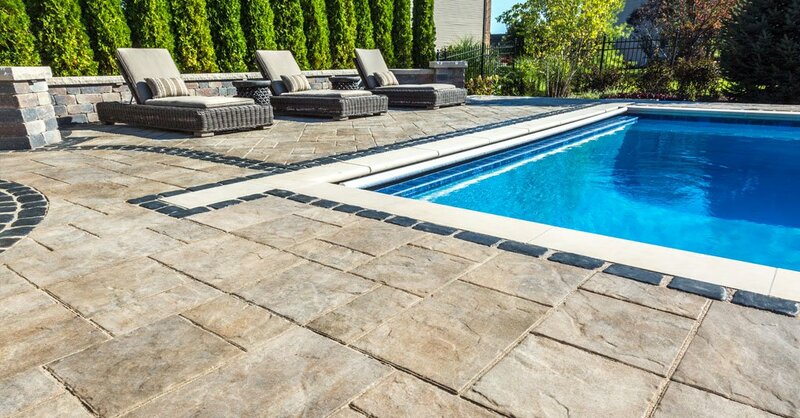 You can use the same stone material as on building structures, bring attention to parts of your property that you are particularly proud of, such as your rose garden or your pool area, or provide access to an area that was previously ignored. In addition to adding beauty and grace to your landscape, stone walkways are a very smart investment. Stone walkways protect your carefully tended grass, plants and flowers from damage caused by foot traffic. A stone walkway makes access possible even when the ground is saturated because rainwater drains off the stones and into the bed below. 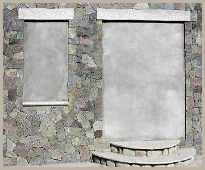 Stone walkways need to be installed only once and require very little, if no, maintenance. Your landscaper or contractor will use sand, mortar, and other backfill as is required for your property and set the stones into it. 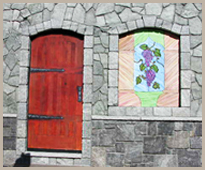 Repairing a stone walkway is as simple and easy as replacing a stone. There are an infinite number of patterns, textures, shapes, spacing and layouts available for stone walkways. 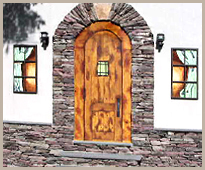 At Home Mason Supply, we have an enormous variety of stone to choose from, so you’ll enjoy picking out just the right material for your project. 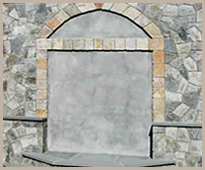 We are proud to be the foremost supplier in Westchester, Rockland, Putnam and Dutchess Counties of the highest quality materials for stone walkways. We are always happy to talk to you about your project, give you a tour of our yard, and help you make the right recommendations.